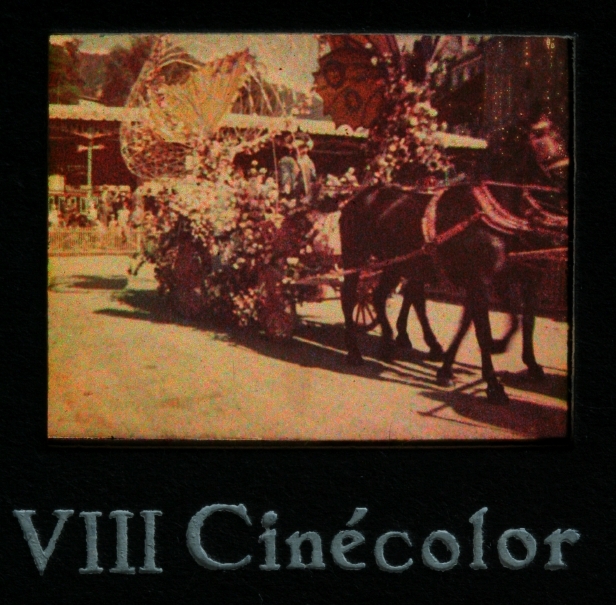 Several attempts were made to apply the Autochrome process invented by the Lumière brothers to motion pictures. 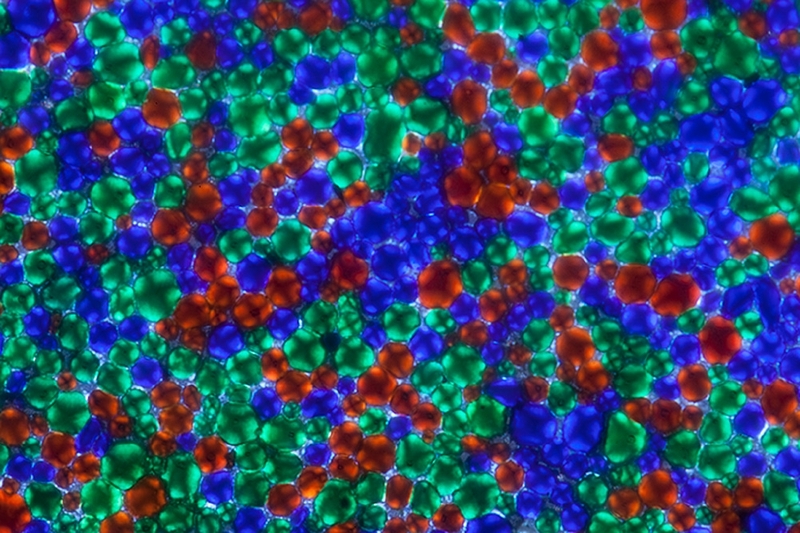 Transparent potato starch grains with a diameter of 15-20 were colored in the additive primaries red, green and blue. 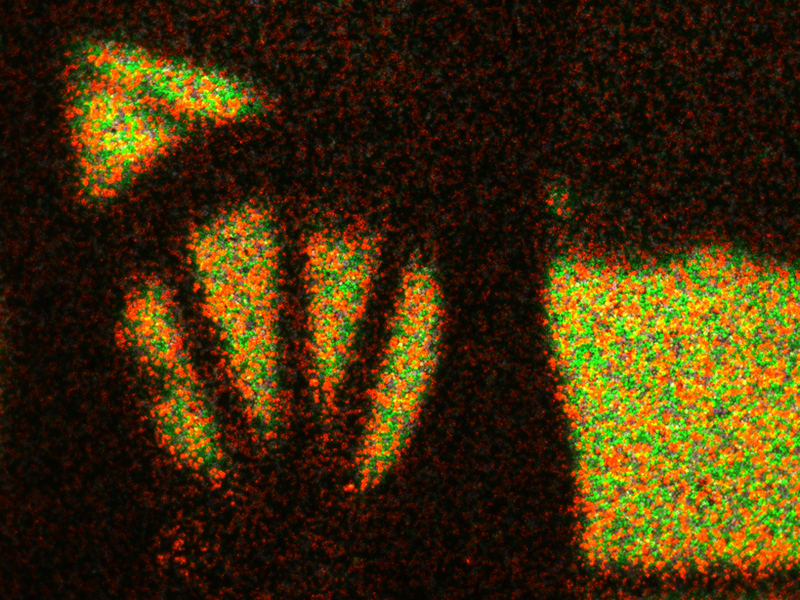 The spaces between the grains were blackened by carbon particles. 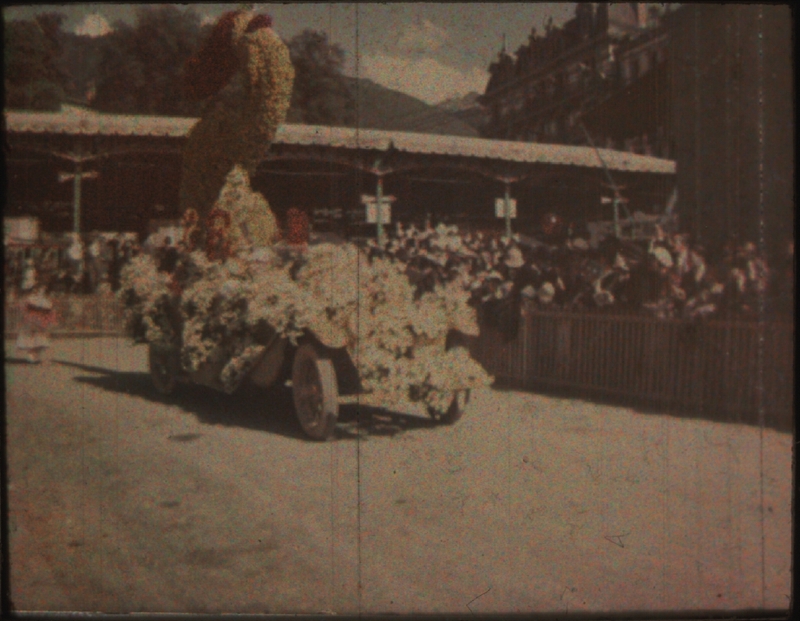 This process created a colored mosaic screen through which the emulsion was exposed. 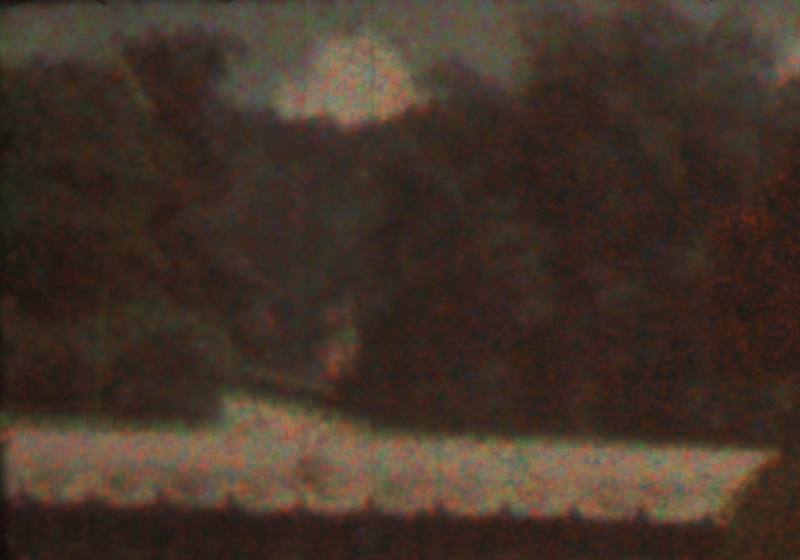 By a reversal process a positive print of the film was created. 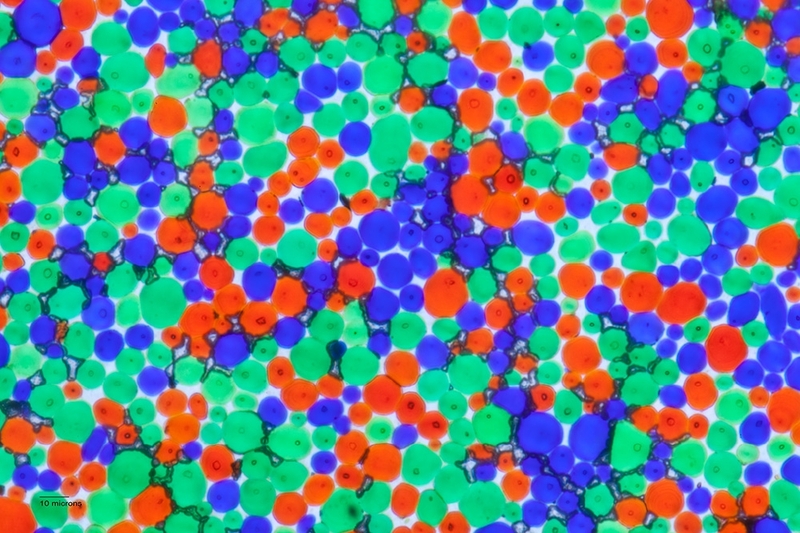 As in Pointillism the color impression was formed in the eye of the viewer. Several problems prevented the successful exploitation of the process. 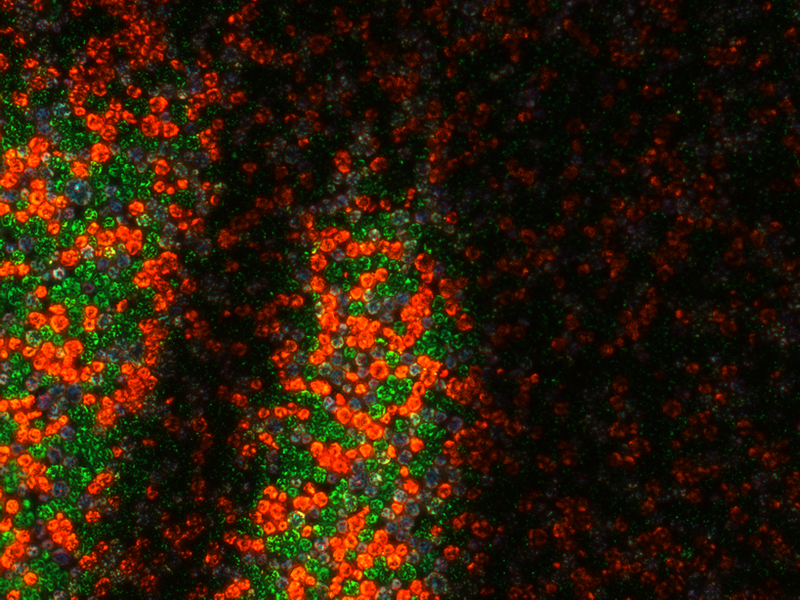 The starch grains tended to form clusters of the same color thus leading to an uneven formation of the pattern. 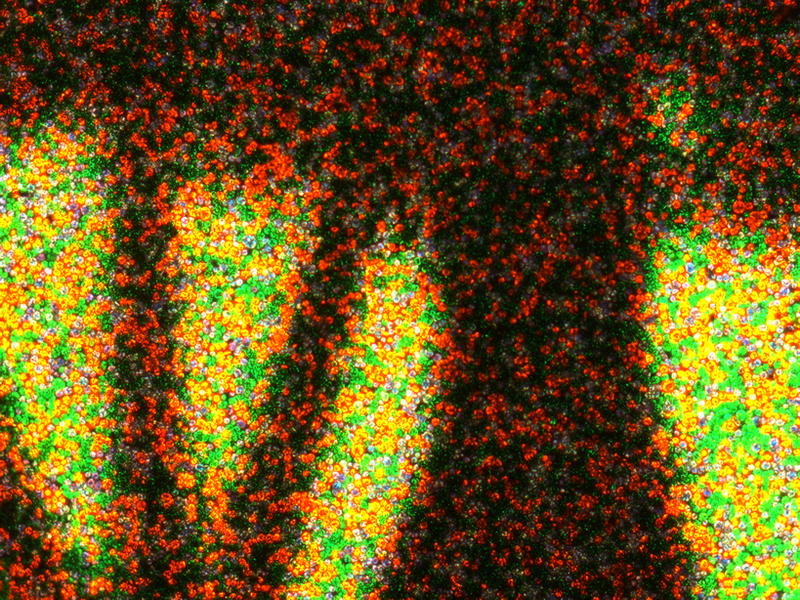 When set in motion this randomized but uneven pattern became highly visible and obtrusive due to the notable changes between individual frames. Like with all the screen processes the small filters lowered the speed of the stock considerably.